Mr. Hendershot works directly with business owners who are exploring the sale of their companies. He is responsible for the review, analysis, and recommendation of these companies which will be selected to enter the M&A process with Generational Equity. Mr. Hendershot has been involved in corporate finance and mergers and acquisitions since the early 1990’s, most recently serving as COO for a New York based boutique investment bank. Prior to his involvement with Generational Equity, he served as President/CFO for a regional chain of 150 automotive repair facilities. His managerial business experience includes his affiliation with a New York based private equity firm and serving for over ten years as CFO/ COO for multiple portfolio companies. Additionally he held the positions of Vice President and CFO/COO for a multi-channel manufacturer/distributor of gourmet food and gifts. 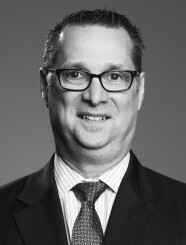 Mr. Hendershot was trained as a CPA with over twenty-five years of executive and managerial experience in retail operations and has been responsible for several mergers and acquisitions, debt restructurings and corporate finance.